Lateral [GB] was put down on Wednesday night, 16 August. The 14-year-old stood at Southford Stud, for the past three seasons, but sadly suffered a broken leg. An Italian champion at two and the leading three-year-old and miler in Germany in 2006, Lateral possessed a rare turn of foot for a son of classic sire Singspiel, a trait he no doubt inherited from his dam, Ligona, who excelled up to 1400m. 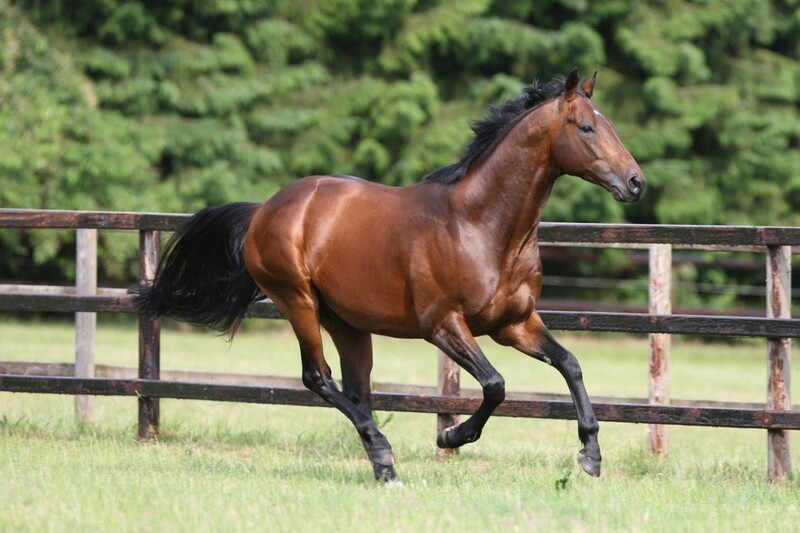 Lateral stood two seasons at his birthplace, Gestüt Fährhof and from his German-conceived crops he sired Slovak 2000 Guineas winner Legionar and Gr.3-placed Ice Cool. He arrived at Maine Chance Farms in 2010 and he made an immediate impact in South Africa when his Maine Chance-bred first-crop daughter, Bilateral, won the Gr.1 Golden Slipper as a juvenile. He also counts Gr.2 Dingaans winner, Unparalleled, Gr.1-placed Sapsan and Gr.2-placed Milton amongst his best local runners. “Lateral was Timeform’s highest-rated three-year-old of 2006 and he was a better three-year-old miler than any other horse in the decade before him. His immense speed also made him a great stallion prospect for South Africa.” Andreas Jacobs, Owner, Maine Chance Farms.